Choose Comwave and get high-quality and reliable VoIP home phone service for a fraction of the cost of a traditional phone line. Plus, get 13 FREE features including VoiceMail and Caller ID. All customers signing up to the 6 months free promotion are entitled to a minimum 3 months of free phone service. Promotion differs for Quebec residents. If you transfer your existing phone number from your current provider to Comwave within the first 30 days, you will receive an additional 3 months free for a total of 6 months free phone service. Service may not be available everywhere. A one-time Shipping Fee may apply based on destination. Prices do not include applicable taxes. LONG DISTANCE: Lifetime Rate Guarantee is based on competitors' lowest advertised rate for like services. Comwave will not rate match against charity or internet services, bundled minute plans or prepaid calling cards due to their inaccurate billing criteria. A monthly fee of $1.95 is not included. All Unlimited Plans do not include calls to the Yukon, Nunavut, N.W.T., Alaska and Hawaii. Unlimited Canada Long Distance Plan does not include a monthly fee of $1.95. **$25 Free promotion is applied $5 per month for 5 months and does not apply to unlimited calling plans. No minimum usage required. This promotion is only available to eligible customers and may not be used in conjunction with any other promotional offer previously awarded. There's no reason why you should pay a fortune for a home phone line. Try our Basic plan and enjoy unlimited local calls at the lowest rates available. Plus, there is no charge to keep your current phone number. $2.95 monthly 911 fee not included. Don't you hate it when you think you're getting a great deal on your home phone, but then you have to pay extra for all the important features? With Comwave's Enhanced plan, you'll enjoy unlimited local calls and 13 FREE features. You'll get VoiceMail, Call Waiting, Caller ID, and more for one low monthly rate. $2.95 monthly 911 fee not included. Enjoy unlimited local and Canada-wide long distance. Call anyone in Canada at any time for one low rate. Plus, you don't have to pay extra for all the features traditional home and cell phone service providers charge you for, such as Caller ID, Call Waiting, VoiceMail and more. $2.95 monthly 911 fee not included. Comwave makes it easy for you to connect with your friends and family from around the world - while enjoying low rates and superior service. With the Global Plan, you'll get unlimited local calling and unlimited long distance to 60 countries. Plus, you'll get 13 FREE features, including Call Forwarding, VoiceMail and Caller ID. Here's how it works ... Let's say you live in Toronto and your phone number is in the 416 area code. However, your family lives in Calgary in the 403 area code. For a low monthly fee, you can add a CityFree 403 phone number so your family can dial you locally and save a ton on their phone bills. CityFree gives you unlimited incoming calls. To be eligable for the CityFree promotion you must have an active Comwave Home Phone Account. A limit of ten cities per Home Phone Account applies. Service may not be available everywhere. Prices do not include applicable taxes. For full terms and conditions please visit www.comwave.net/terms. Here's how it works ... We provide you with a toll free number. When someone calls this number we forward those calls to any phone number, such as your home, office or mobile phone. Service may not be available everywhere. Prices do not include applicable taxes. For full terms and conditions please visit www.comwave.net/terms. All Calls to landline phones included, excluding certain call types such as calls to premium numbers. Calls to mobile phones may be included depending on the destination. Certain countries exclude associated territories. Calls to Colombia include Bogota & Cali only. Calls to Mexico include Guadalajara, Mexico City & Monterrey only. Calls to Brazil include Rio and Sao Paulo only. Calls to Russia include Moscow & St. Petersburg only. Calls to the United States do not include Hawaii, or Alaska. Calls to Canada do not include Yukon, Nunavut, or Northwest Territories. Sorry, we are unable to provide Internet service at this address. However, Home Phone and Long Distance services are available. Call 1-866-210-7149 for more information. 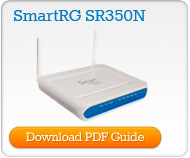 An affordable plan that will get you surfing the web, emailing and chatting with friends quickly. 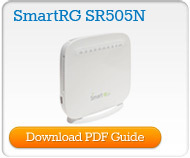 Ideal for a light Internet user with 200 GB of data per month. These plans are great for most people with speeds of up to 15 Mbps that will allow you to surf, download and stream with ease. With available Unlimited Data, you will ensure there are no overage charges. Lightning fast plan with unlimited data at super-fast speeds. Sharing the Internet with the whole house can be slow at times, but with Internet 60, you get unlimited high speed data to share with the whole family and ensure you will never again be charged for overage charges. 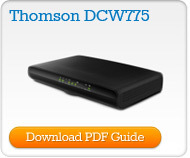 Now for a limited time only, get Internet 75 with unlimited data at superfast speeds. Feel the freedom of no overage charges and never having to worry about slow speeds when sharing the internet with the whole house. This plan is ludicrously fast! Have the world at your finger-tips while you stream, download and surf instantly with this unlimited data plan. 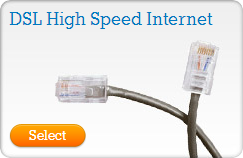 Internet 250 offers unlimited high-speed data and peace of mind knowing you will never be charged for overage fees! Stop being pushed around by the BIG cable companies and push back with Comwave! Comwave introduces TV packages that tops out the big guys. Choose the best package for you and book your sevice today! All packages include a wide selection of channels to suit a variety of needs for your family. Basic package which includes 30 channels in both English and French. Upgrade your plan by adding one of our Specialty Packages or build your own by selecting individual channels from our À La Carte menu. Choose from a variety of packages to get the best value. ComwaveTV requires subscription to Comwave Internet and one Comwave set-top box per TV ($12.95/Mth for the first and $9.95/Mth for each additional TV). The set-top box remains the property of Comwave. You may terminate your subscription at any time provided you return the set-top box (early termination fees on programing may apply). A fully refundable equipment security deposit is required based on the bundle chosen. Channels / content are subject to change without notice and blackout periods may apply. All logos, images, artwork and trademarks are the property of their respective owners. Stop being pushed around by the BIG phone and cable companies and push back with Comwave! You'll get Comwave Home Phone and High-Speed Internet with our Unlimited Data option for one low price! What are you waiting for? ComwaveTV is here! Now Comwave packs more punch with the ultimate bundle package. Get high-speed, unlimited internet with ComwaveTV AND a free home phone line for one incredible price. The Lowest Rates - Guaranteed for Life! With Comwave, no matter where you call and no matter what rate you currently pay... we'll beat it. Even if you find a lower rate in the future, all you have to do is call us, and we'll match it. That's our LIFETIME rate guarantee. 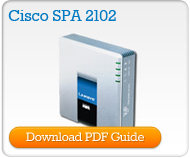 No hassles and no more switching providers, ever. Lifetime Rate Guarantee is based on competitors' lowest advertised rate for like services. Comwave will not rate match against charity or internet services, bundled minute plans or prepaid calling cards due to their inaccurate billing criteria. A monthly fee of $1.95 is not included. All Unlimited Plans do not include calls to the Yukon, Nunavut, N.W.T., Alaska and Hawaii. **$25 Free promotion is applied $5 per month for 5 months and does not apply to unlimited calling plans. No minimum usage required. This promotion is only available to eligible customers and may not be used in conjunction with any other promotional offer previously awarded. Unlimited Calling to Canada. Unlimited calling plans are designed for residential use. This bundle does not include calls to Yukon, Nunavut, or Northwest Territories. Unlimited Calling to Canada and the USA. Unlimited calling plans are designed for residential use.This bundle does not include calls to Yukon, Nunavut, Northwest Territories, Hawaii, or Alaska. 1,000 minutes to call over 20 countries! The Comwave Global Bundle does not include calls to mobile phones for all countries. See the list of countries for more details. All other calls and minutes used in excess of 1,000 minutes will be charged at Comwave's guaranteed lowest rates. Unused minutes will not be carried over to the following month. 350 minutes to call over 20 countries! The Comwave Global Bundle does not include calls to mobile phones for all countries. See the list of countries for more details. All other calls and minutes used in excess of 350 minutes will be charged at Comwave's guaranteed lowest rates. Unused minutes will not be carried over to the following month. 500 minutes to call Canada and USA. This bundle does not include calls to Yukon, Nunavut, Northwest Territories, Hawaii, or Alaska. Minutes used in excess of 500 minutes will be charged at Comwave's guaranteed lowest rates. Unused minutes will not be carried over to the following month. Includes calls to landlines and mobile phones in India. Unlimited calling plans are designed for residential use. 1,000 minutes of calling to India, to landlines and mobile phones. Minutes used in excess of 1,000 minutes will be charged at Comwave's guaranteed lowest rates. Unused minutes will not be carried over to the following month. Calls to Argentina on this bundle are to Buenos Aires only. Calls to Brazil on this bundle are to Rio de Janeiro and Sao Paolo only. Calls to Russia on this bundle are to Moscow and St. Petersburg only. Calls to Mexico on this bundle are to Mexico City and Monterrey only. This bundle does not include calls to Yukon, Nunavut, Northwest Territories, Hawaii, or Alaska. ePhone is our free VoIP App that can be used anywhere around the world to make and receive calls. You choose your own phone number so that you can receive calls from anyone… anywhere. ePhone uses your data connection or Wi-Fi so there is no need to worry about expensive fees while traveling. Add minutes to your account in $5, $10 or $30 increments to call the world at the lowest rates guaranteed and unlock ePhone Web so you can stay connected from any device by visiting www.ephone.net. ePhone can be used on your iPhone, iPod, iPad, Android phone, tablet, Blackberry Playbook and your Mac or PC. Just download the Free App to your device, then sign-up and an unlock key for the App will be emailed to you. Choose a country from the drop down below to instantly see how many minutes you will get with $5, $10 or $30 prepaid increments. If you find a lower long distance rate, we'll beat it – guaranteed. If you want to make calls from your ePhone number, simply purchase International Minutes here to get our guaranteed lowest rates to any country you call. Add additional features to your ePhone so you can enjoy all the perks, anywhere in the world! Just click on a feature to get started! This plan is for existing Comwave Long Distance customers who have already registered their cell phone numbers with Comwave. Calls made on this plan are simply billed to your account at your existing rates. This plan lets you call 60 countries for free for the entire year. 250 free minutes per month for 12 months (that's 3000 minutes for the year!) Guaranteed lower rates than Skype if you go over the allotted minutes or call outside of the countries listed. Comwave Mobile can be used on your iPhone, Android or BlackBerry. Simply download the Free App to your device by clicking on the link below from your smartphone. For instructions on how to install our Mobile App, click here. The Comwave Home Phone Adapter is backed by a 1 year manufacturer's warranty against any manufacturer’s defects. Comwave offers a lifetime extended warranty for only $3 per month. If anything should happen to the adapter at any time, we will replace it free of charge. 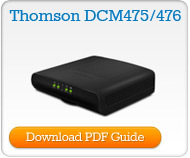 The Comwave Internet Modem is backed by a 1 year manufacturer's warranty against any manufacturer’s defects. Comwave offers a lifetime extended warranty for only $3 per month. 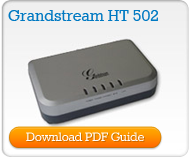 If anything should happen to the modem at any time, we will replace it free of charge. How is Comwave Home Phone different from my current local line? What is considered a local call? How do I log in to Comwave My Account? What can I do when I log in to Comwave My Account? 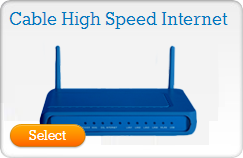 Does Comwave Home Phone service work with all types of High Speed Internet? 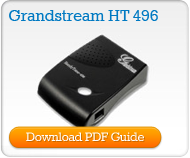 Does Comwave Home Phone work with DSL or Cable High Speed 'Lite' Service? Can I transfer my current phone number to Comwave Home Phone? Can I choose a telephone number from any city? Is 9-1-1 or 411 available? Do I need to know a lot about computers to use this service? What do I need in order to use Comwave Home Phone service? What if my Home Phone adapter stops working? When will my Comwave Home Phone service start to work? Do I need to turn my computer on to use my Comwave Home Phone service? Can I keep the service if I move? Can I keep the service If I travel? Can I use a fax with Comwave Home Phone service? Will Comwave Home Phone service work with my Alarm? How does CityFree service work? Comwave Home Phone service uses a digital technology called VoIP [Voice over the Internet] that allows you to use your existing Internet service to make and receive regular phone calls. You will enjoy enhanced services like Enhanced VoiceMail, Caller ID, and Visual Call Waiting just like traditional phone companies offer. All you need is a High Speed Internet connection and our Comwave Home Phone VoIP Adapter and your savings start right away. With Comwave Home Phone you could be making calls from Toronto today, and Vancouver next week, simply by taking your Comwave Home Phone VoIP Adapter everywhere you go. You will not be billed for local calls. Comwave Home Phone uses the North American standard set by the traditional telephone companies. If for example you have a Toronto 416 area code, and are not sure if a call to Thornhill is long distance, you may consult the Local Calling Guide. It will allow you to determine if a call is local or not. Calls outside this area will incur charges. To call anywhere in the world for free, both parties need to have Comwave Home Phone. All Comwave Home Phone-to-Comwave Home Phone calls are free regardless of where they are in the world. Comwave Home Phone also offers unbelievable world-wide long distance rates! Check out our current rates using the Long Distance Rates Finder. Click on the link below or use the "Sign-In" button located at the top of our main site from any computer. In order to log in, you will need the Comwave Username and Password you created when you registered as a New User. In order to log in, you will need the Comwave Username and Password you created when you registered as a New User. Dial ( * 98 ) to enter your mailbox, then enter your password. Dial your Comwave Home Phone Number, press ( * ) during the greeting message to enter your mailbox, then enter your password. Get an email notice when someone leaves you a VoiceMail message. Click here for more information about checking your VoiceMail. Yes. Comwave Home Phone service will work with DSL or Cable High Speed Internet from Canada's leading service providers like Rogers Cable, Bell Sympatico, Shaw Cable, Telus, Videotron, Look, and many more. 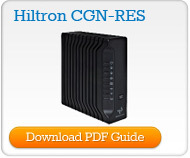 Does Comwave Home Phone work with DSL or Cable High Speed "Lite" service? To ensure your Comwave Home Phone experience is every bit as good as your traditional phone service, we do not recommend "Lite" Internet service. 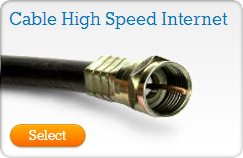 We recommend that you have "full" High Speed Internet (> 3 Mbps). Our Technical Services Team cannot help you with any quality issues if you are using a High Speed Internet connection less than 3 Mbps. Yes. As soon as you receive your Comwave Home Phone Starter Kit, simply set it up and begin making calls with the Comwave Phone Number you were assigned. When you are sure you love the service, you simply complete the Number Transfer form in My Account. The switch will take about 14 days from when you submit the form. Once the transfer is complete, your old phone number will begin to ring on the telephone you've connected to your Comwave Home Phone VoIP Adapter. It all happens seamlessly. At that point you will no longer be billed from your old phone company. Yes. As a Comwave Home Phone customer you are not limited to choosing a number from your local area. You can select a number from most major cities in Canada. For example... you live in Toronto in the 416 area code but your mother lives in Montreal in the 514 area code. You can select a 514 number so that she can call you for Free! Yes. Comwave Home Phone 9-1-1 works through a third party that answers your emergency calls and then dispatches the authorities. You will need to log in to Comwave My Account to ensure your 9-1-1 address is up to date. 411 Information includes Directory Assistance, News, Weather, and Sports at a charge of $1 per call billed on your monthly invoice. No. Comwave Home Phone service is very easy to install and you will use the same telephone or cordless phone that you would normally use with your local telephone company. In addition to our great Technical Service Team, we have a quick and easy Installation Guide available in PDF format for you to download. 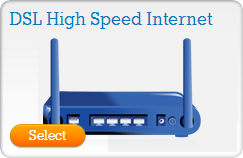 The only things you need to have are a High Speed Internet service (Cable or DSL) and a standard analog telephone. We recommend a cordless phone set. Comwave Home Phone will provide the additional equipment required (Comwave Home Phone VoIP Adapter) to set up and use Comwave Home Phone service. The Comwave Home Phone Adapter is backed by a 1 year manufacturer's warranty against any manufacturer’s defects. Plus, Comwave offers a lifetime extended warranty for only $2 per month. If anything should happen to the adapter at any time, we will replace it free of charge. Your Comwave Home Phone Starter Kit will arrive within approximately 7 to 10 days. You can install it and start using it in minutes. No. Comwave Home Phone service does not require a computer, however, Comwave Home Phone service does allow you to talk and surf the Internet at the same time. Yes. If you move, you can keep your service and your phone number. You just need to have a High Speed Internet connection at your new location. Yes. You can take the Comwave Home Phone VoIP Adapter with you and use it anywhere a High Speed Internet connection is available. We really don't recommend it if you rely on a fax machine for your home business or important personal affairs. A successful fax is related to your Internet connection, its quality and your fax machine. Fax machines were never designed for use on the Internet, and while it works much of the time, success cannot be guaranteed. Our Technical Services Team cannot answer questions regarding faxes nor provide instructions for faxing on Comwave Home Phone service. If you plan on using Comwave Home Phone service as your primary phone service you will need to have your alarm company connect your alarm system to your Comwave Home Phone. They will need to program the alarm panel to use SIA format. 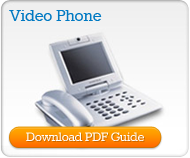 VoIP is very common now so your alarm company will know what to do. For every one of your Comwave Home Phone lines, you can select up to 10 new numbers from any Comwave city, to allow unlimited calling to you. Each CityFree number is only $4.95/month each. By choosing a different city for each one, your friends and family can reach you from that city with no long distance charges to them. For example, you have a Toronto Home Phone line. You select a Montreal CityFree number and link it to your Toronto Home Phone line. Anyone from the Montreal local area can now call you in Toronto at no charge to them. This is something the Phone Companies would never allow you to do. Why lose touch with loved ones when you can have CityFree. Where can I call from? Do I pay if people call me? Do ePhone minutes count towards my cell phone minutes? How do I add International Minutes to my account? I don't have my username or password? How do I know how many International Minutes I have left? What is my ePhone number? You can be anywhere in the world to use ePhone so long as you have a data connection (WIFI, 3G or 4G, LTE). No. All incoming calls are free. No. ePhone minutes do not deduct from the minutes that you have with your current mobile phone plan. Click here to Add Minutes to your account. Passwords are delivered via text message to your mobile phone and by email. Your email client or spam filter may be blocking it. Check your "Junk" folder and make sure you allow all emails from "@comwave.net". Dial "0" and your balance will be announced. Your balance will also be announced before each call. Your ePhone number is listed in the top left of the App. 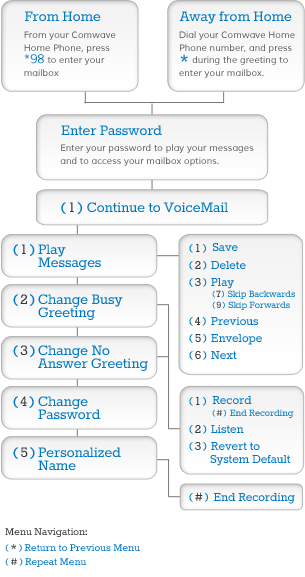 The default VoiceMail Passcode was emailed to you with the VoiceMail purchase confirmation. If you have misplaced this email or did not receive it, please email the ePhone support team at ephone@comwave.net. Fill in the fields below to determine if a call is local or not. Calls outside your local area will incur charges. I am getting static/echo during phone calls. The quality is affected by various factors outside of our control. If you are experiencing quality issues the next step would be to determine if the issue is with the Hardware or the Internet. 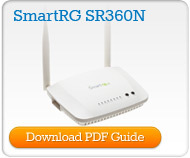 How do I set up my Wi-Fi? How can I view my Internet usage? 3. Look for your Network Name as shown on the sticker behind the Modem/Router and click "Connect"
3. On your computer, right-click on the Wi-Fi connection and select "Forget the Network"
Our Whole Home PVR Recording allows you to record your favourite programs and watch them on any ComwaveTV Set-Top Box in your household. Free for the first 3 months, $6.95 per month after. Missed your favorite program? That's not a problem when you enable Back-In-Time recording. You can watch any* program on your TV Guide within the last 24 hours. Available with Whole Home PVR Recording. *May not be available in all areas. The movies that shaped the 70s, 80s, 90s and 2000s, uncut and commercial-free on 4 HDTV channels. Watch Obsessable STARZ Original series and your favourite classic movies. Enjoy exclusive access to the most captivating movies, must-see HBO and Showtime series, and groundbreaking Crave Originals. Plus, you can choose how and when you watch with 6 channels at your fingertips. Enjoy everything Sportsnet with this incredible package plus Wild TV for those who enjoy hunting, fishing, and motorsports. This package is a compilation of all TSN channels (TSN1-5), plus a mix of outdoor sports, sports news, and classic sports. Enjoy a wide compilation of shows from documentaries to comedy. There’s something for everyone. Enjoy a wide compilation of shows from business news to cooking to fitness to popular kids shows. Enjoy a compilation of suspenseful to critically-acclaimed drama series. 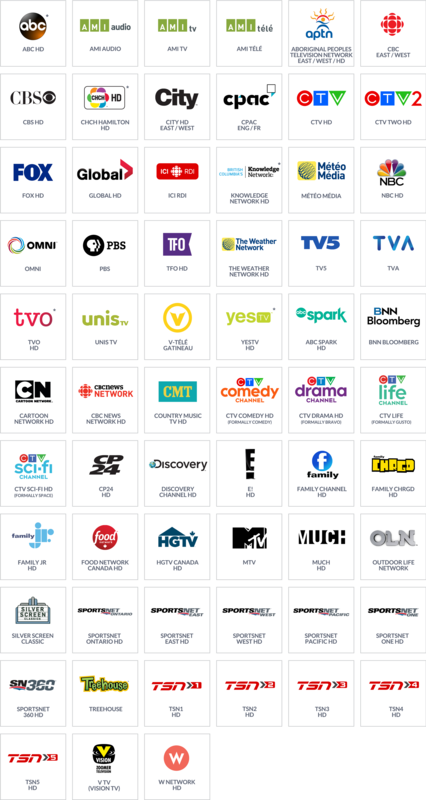 Kids of all ages can enjoy a variety of their favourite shows on Family, Family Jr., Family Chrgd, Treehouse, YTV, and ABC Spark. Get your Disney fix with this package and continue the fun and laughter through Teletoon, Cartoon Network, and Nickelodeon. A collection of various lifestyle channels offering home improvement ideas. eye-opening explorations on DTOUR and explosive documentaries. Lifestyle 2 offers a mix of channels for the foodie in your house to travel and includes the popular W Network. This package of channels is designed with the homeowner in mind including the popular HGTV Canada. Enjoy the top music channels anytime you want for various music genres. Abu Dhabi TV is a modern, progressive Pan-Arab channel and is considered to be one of the top Entertainment channels in the Arab world. It features: talk shows, dramas, politics, documentaries, games, social, and cultural shows. Al Nahar is an Entertainment TV network, broadcasting from Cairo, Egypt. Its programming contains in-depth political issues, hard hitting talk shows with the biggest names in the industry, mini-series, dramas, movies, and reality shows. Al Nahar Drama is among the top three free-to-air channels in Egypt and known for its diverse Entertainment programming catering to all audiences. Its programming includes: dramas, talk shows, reality shows, culinary shows, soap operas, and more! BBC Arabic is a 24/7 news service dedicated to delivering breaking news as well as political, financial and business news in the Arabic language. It also offers talk shows and specialty programming. Melody Drama is a top-rated entertainment channel featuring popular Arabic television series, comedies, dramas and much more. OSN Ya Hala is a channel custom made for the culturally rich Arab community around the globe. The channel embodies the diverse interests and global minds of Arab experts and features award winning series, talk shows, Entertainment and lifestyle programs. Rotana Aflam broadcasts unique content and a variety of the latest and most renowned award-winning movies. Rotana Cinema brings you the latest blockbusters right after their theatrical release and is the exclusive home of some of the biggest Egyptian superstars. Rotana Classic transports viewers back to the golden age with handpicked Arab and western movies, series and plays. Rotana Clip broadcasts 24-hours a day the widest selection of the latest and most appealing Arabic video clips, along with a variety of interesting games and services. Rotana Khalijia is an Entertainment channel that caters to all interests. It airs cultural, folkloric, musical, sports programming, talk shows as well as exclusive premium series. Rotana Masriya is mainly films, television series and lifestyle programming from Egypt. Fairchild TV or FTV is a Canadian Cantonese channel that brings together the latest and most popular Asian dramas, entertainment programs, variety shows, investigative reports and news and current affairs programs. Fairchild Television also puts its best efforts into producing local daily news and other programming to assist new immigrants in quickly adapting to and immerging into Canadian culture and lifestyle. Talentvision is a Canadian Mandarin Chinese channel that brings full coverage of news and entertainment to every Chinese Canadian household and works hard to act as a bridge for communication and understanding between the Chinese society and other cultures. Topics include finance, lifestyle, leisure, health and fitness, currents events and more. beIN Sports is an English channel that brings to the passionate fan, live games that can be seen on any other channel, as well as news and analysis of the top leagues around the world. From American, European and Latin American live games to general sports news and in depth analysis, beIN Sports guarantees front-row access to top leagues and major sports properties on TV. Ten Cricket exclusively televises the world's best cricket action from 5 international cricket boards: West Indies, Sri Lanka, Pakistan, South Africa and Zimbabwe. The presenters and analysts of Ten Cricket are well known sports personalities who provide insights and unique perspectives into their chosen sport. Filipino TV (FTV) is the market leader Filipino-Canadian television channel in Canada. FTV offers viewers instant access to a well-balanced and responsible array of Filipino-Canadian entertainment straight from the Philippines, as well as locally produced content from coast to coast. Viewers can tune in for; news, public affairs,kids' programming, lifestyle, entertainment, and religious programming. GMC (Greek Music Channel) brings you retro and new music hits from your favorite Greek Artists. NGTV (New Greek TV) offers an array of premium contemporary programming from Greece and original productions from the Greek-American community. Enjoy news, talk shows, movies, sport highlights and more. Jewish Life is the first and only 24/7 Jewish-themed channel in North America. Get international news, sports, documentaries, comedies and special events. The Israeli Network is the only 24/7 Hebrew-language TV channel featuring the best of Israeli TV to viewers in North America. Highlights include selected shows from Israel's leading channels showcasing educational, children's shows, sports and culture programming, with English subtitles. TVP Info is the most popular Polish news channel, offering a wide array of information, presenting news from Poland and all around the world. RBTI is the newest Brazilian channel based in São Paulo, Brazil. RBTI broadcasts 24-hours a day in Portuguese, with programming directed at the Portuguese language community throughout the world. Programming includes: soap operas, news, documentaries, culture, tourism and sports. TV Record is a Portuguese Entertainment channel from Brazil. It is "a must see" channel for all sports, news and entertainment enthusiasts. Televisao Independente is a Portuguese variety channel with news and entertainment, broadcasting 24/7 from Portugal. Programming includes: soaps, live news, talk-shows and more. Detskiy is a children's entertainment channel, trusted by parents. Its comprised of cartoons, game shows, popular movies and craft programs. KHL broadcasts 40 games per week and a regular season of over 600 games in dynamic HD. KHL TV has a variety of shows and programming off-the-ice. Learn about hockey, the life of your favorite players and the business behind the game. RTR Planeta is the #1 entertainment channel from Russia. Programming includes up-to-the minute news, documentaries, award-winning series, and celebrity talk shows. RTVi offers the best dramatic and cinematic programming, as well as; special-interest programs, movies, soaps, cultural programs, news, public affairs, live coverage of local & national events, sports, children’s shows, family entertainment & documentaries. RT is the first Russian 24/7 English-language news channel which brings a Russian view on global news, politics, current affairs, sports and more. Russian Illusion is a movie channel featuring both the oldies and more modern films – for the entire family. The channel is designed to unite generations and deliver the best of Russian cinema, showing modern film, series and movies produced in the nostalgic 60s and 80s. TV Rain is a Russian independent television channel focusing on news, discussions, culture, political, business reports and documentaries. The channel's motto is “Discuss important things with those who are important to us”. Most programs on TV Rain are live broadcasts. RTS Sat is the North American television broadcast of Radio and Television Serbia. The channel offers information on Serbian history, culture, and heritage as well as news, sports and entertainment programs. Aaj Tak is India's best 24/7 Hindi news channel. The channel delivers the latest breaking news and information on the top stories, weather, business, entertainment, politics and more. 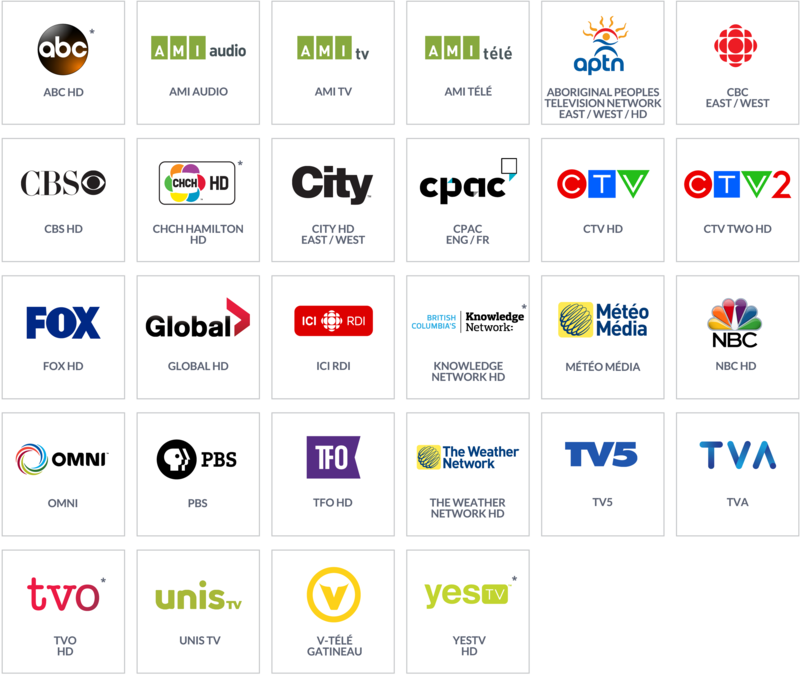 ATN carries the best of Local Canadian and International content (and TV Programming) which showcases a diverse and dynamic mix of relatable fiction, high voltage non-fiction, marquee events, Canadian productions & local community events. Aapka Colors is one of India's leading Hindi entertainment channels. As a part of its complete entertainment package, 'Aapka COLORS' offers a power packed combination of 'emotions' and 'variety' programming. Known for its meaningful and differentiated content, Aapka Colors is today synonymous with entertainment in India. The channel celebrates the spirit of entertainment by bringing together a wide array of shows creating everlasting relationships with the discerning audiences in India and across the globe. Aastha TV is India's No. 1 spiritual TV network. Its’ programs feature spiritual discourses, socio-cultural ceremonies and religious events, accompanied by meditation techniques and devotional music. A popular Punjabi channel ATN Alpha ETC Punjabi, has captivated audiences by distilling the very essence of Punjab. The programming mix features Movies, News, Dramas, Comedies & LIVE Gurbani from various Gurudwaras across Canada. ATN B4U Movies is the 'Gateway to Bollywood', with a constant endeavor to provide the viewers with the best of Bollywood Programming. B4U Music is a music-themed TV channel. The channel broadcasts a mixture of contemporary Bollywood, Indipop, Bhangra, and international music. Programs include star interviews, artist profiles, concerts and chart rundowns, as well as video request shows. ATN Cricket Plus broadcasts programming related to the sport of cricket including live and tape-delayed matches and news and highlights. ATN Movies, is a brand-new Hindi Movie channel where entertainment unfolds every hour. Bond with your family and friends over some of the best flicks, only on ATN Movies. ATN News: Republic TV is India's first independent media venture, which is managed purely by content professionals. Republic stands for driving positive change and a better India. The channel is committed to providing original programming and delivering in-depth analysis on news that matters to the viewers across platforms and reaffirm the power and reach of independent media. ATN PM1 is a Punjabi music and entertainment channel offering wholesome entertainment for the entire family. ATN SAB TV offers fresh, innovative and relevant mix of comedy based programming aimed at the young and old alike. ATN SET Max is a forerunner amongst Hindi movie channels offering not only Bollywood blockbusters but also the latest from Hollywood dubbed in Hindi. ATN Urdu is committed to bridging the distance between the Urdu speaking community and other Asian communities all of whom who have now settled in Canada. CBN primarily focuses on cricket programming such as live and tape-delayed matches featuring Commonwealth nations. HUM TV is the leading entertainment channel from Pakistan. The cornerstone of HUM TV's programming is its narrative (i.e drama, telefilms and soaps). Special focus is given to issues related to women. TravelXP HD is the first HD travel channel from India. It takes a purge into the world of the traveler, discovering new places and experiences from across the world. 24 Taas is a 24-hour news channel, which provides latest news from various cities in India. ZEE Bangla is the pioneer of reality shows aiming to uphold Bengal’s culture worldwide. It has changed the entertainment scene with super-hit shows like Mirakkel, Dance Bangla Dance and Star of Bengal. ZEE Bangla’s programming mixes the most popular daily soaps and mega reality shows! ZEE Bollywood delivers the most sensational movie hits, music, celebrity interviews, and breaking entertainment news from Bollywood! ZEE Bollywood ¬- your connection to Bollywood! ZEE Cinema is the first and most popular Hindi movie channel from India that includes the largest privately held Indian video library. ZEE Cinema broadcasts 24-hours a day, airing over five movies and other types of films based programming. ZEE Tamil is an Entertainment channel that offers a variety of unique programs, such as: soaps, paranormal shows, travel shows, cookery, talk shows and more. ZEE TV Canada is the channel women have been waiting for! ZEE TV Canada shows redefine the entertainment experience by broadcasting lifestyle and entertainment programming aimed at women, covering topics such as family, relationships and gossip! Zing is a 24-hour Bollywood music channel from the ZEE Network of channels. Enjoy Bollywood music throughout the day in all genres - film, pop, retro, etc. Jaya TV is one of the most popular Tamil channels from Chennai, India. Jaya TV is an Entertainment channel that has a number of popular programs, hosted by some of the best known faces from the South Indian Film world. Jaya Plus is a 24-hour Tamil language news channel. This channel allows viewers to keep up-to-date with all of our current events in India and around the world. Jaya Movie is a Tamil movie channel showcasing movies and other programming in the Tamil language. The channel showcases movies from all genres such as comedy, drama, thrillers and more. Prime Asia TV operates 24 hours and is the voice of the Punjabi communities. The round-the-clock coverage is always engaging with programs from debates to talk shows, reality TV, and news to inform and spotlight critical social issues. Prime Asia has one of the biggest and most popular Punjabi channel viewership, producing content mostly for the Punjabi market but still intersperse programs with other types of content for a rounded viewing experience. Rawal TV is Canada's first South Asian 24/7 TV channel which not only broadcasted in Canada, but reaches its viewers throughout the world. The channel contains programming specifically designed to cater to new Canadian immigrants. beIN Sports en Espanõl is a Spanish channel that brings to the passionate fan live games that can't be seen on any other channel, as well as news and analysis of the top leagues around the world. From American, European and Latin American live games to general sports news and in-depth analysis, beIN Sports guarantees front-row access to top leagues and major sports properties on TV. Teleritmo is an international channel that brings to the viewer the best Mexican regional music. From its base in Monterrey, the music and video capital of northern Mexico. Teleritmo broadcasts the most complete library. SBTN (Sagion Broadcasting Television Network) is the first national 24-hour Vietnamese channel in North America offering programming designed to keep Vietnamese Canadians connected with their culture and identity. ITN is an Entertainment channel targeting the Persian speaking community of all ages around the globe. Its programming consists of world news, talk-shows, concerts and great movies for the entire family.